The 2016 Alumni and Friends Reunion weekend kicked off on October 7 with the President’s Gala, honoring the 10th Anniversary of the Investiture of Dr. Franco Pavoncello as President of John Cabot University. During the evening, the Distinguished Alumni Award was presented to Mia Ceran (class of ’08) and Thabet Al Qaissieh (class of ’06) in absentia. On Saturday, October 8, JCU alumnus and Trustee Dr. Ali Reza Arabnia held the lecture “A Humanitarian Approach to Creating a Globally Successful Business.” Arabnia is CEO of Geico Taikisha, a company that has been hailed for ethics and innovation during times of crisis. He described his experience as a student in the 1980’s, and spoke about his constant involvement with the JCU community, from being president of Student Government and working with the Alumni Association, to his membership on the Board of Trustees in recent years. Following Arabnia’s lecture, Professor Silvia Pulino introduced a panel on entrepreneurship with alumni Gyorgy Konda, class of ’95, Stefano Le Pera, class of ’93, and Mia Ceran, class of ’08. 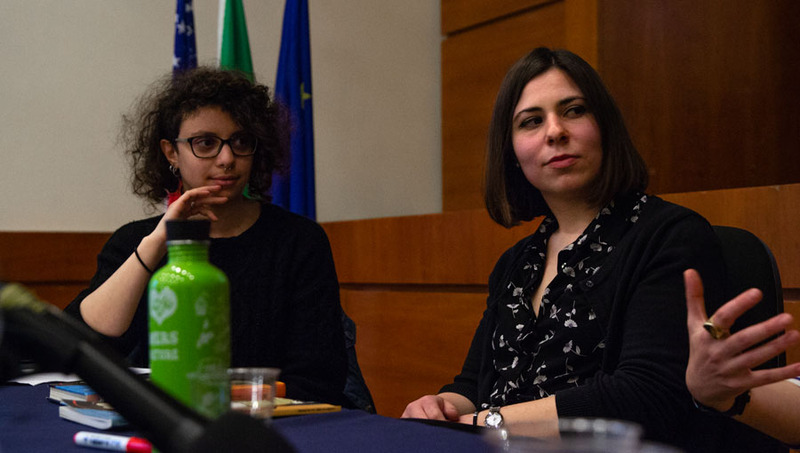 Afterwards, three Alumni-Faculty forums were held simultaneously: Flaminia Bonciani, class of ’01, and Silvia Bezzi, class of ’16, assisted Professor Peter Sarram in the Communications forum. Leonardo Quattrucci, class of ’13, held the Political Science forum with Professor Federigo Argentieri. Professors Mary Merva, and Stefano Arnone led the Business/Economics/Marketing/Science forum with Mackenzie Garrity, class of ’13. After the forums everyone gathered on the Secchia Terrace for a toast to the JCU Faculty. President Pavoncello took the opportunity to thank everyone and to announce exciting news for the future of John Cabot, including the purchase of a new building. Saturday evening the Alumni Association hosted a lecture at the Accademia Nazionale dei Lincei, with former Mayor of Rome and Minister of Culture, Francesco Rutelli, who received a degree in International Affairs honoris causa from JCU in 1997. His lecture “Cultural Diplomacy and World Heritage: Why this ‘Spirit of Rome’ Can be Decisive Again,” was attended by several foreign ambassadors, and addressed the importance of preserving and rebuilding historical monuments, especially during times when monuments and artistic masterpieces are being destroyed for religious and political motives.